Ah, summertime simplicity! Warm air, golden sunshine, cold drinks, grilled food, and sandals. Time to stay cool and show off those pretty feet with a pair of our Keettons! 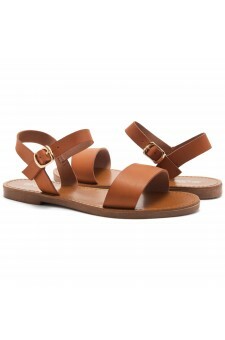 They have a flat sole, a plain strap over the top of your foot, and a simple buckled ankle strap. That’s it. No fuss. Just clean lines with no complications. 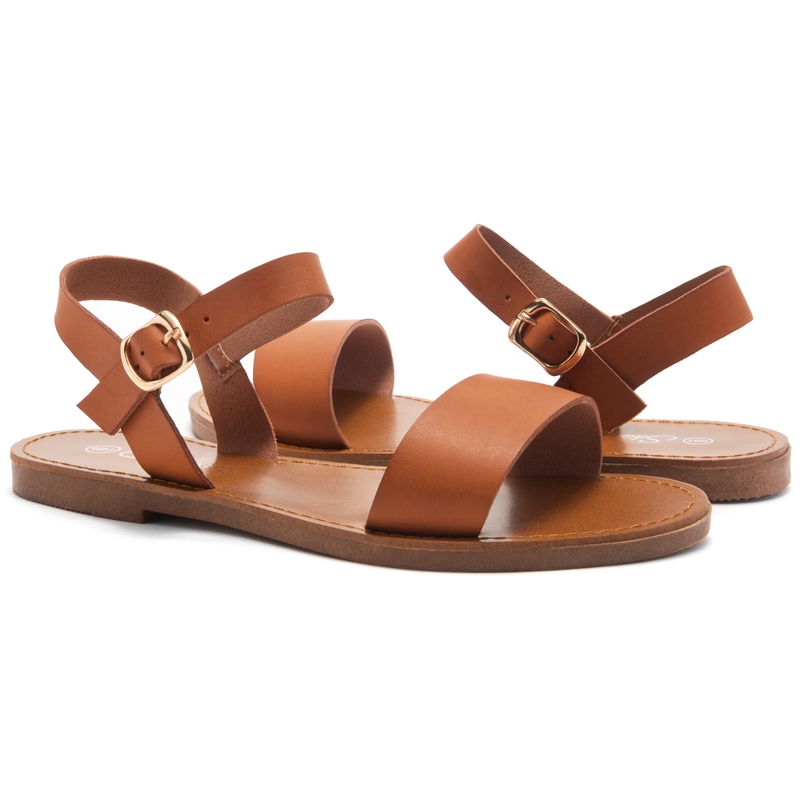 Pair these with cut offs, a white tank, and a laid back attitude. Or with a print maxi dress, leather jewelry, and an approachable smile. On particularly hot days put them with rolled up linen beach pants, a bikini top, and sunscreen (just add aviator glasses…). On particularly hot nights pair them with a short, chiffon, split sleeve dress, beaded necklaces, and some sweet right-now lip color. You cannot go wrong with our Keettons! 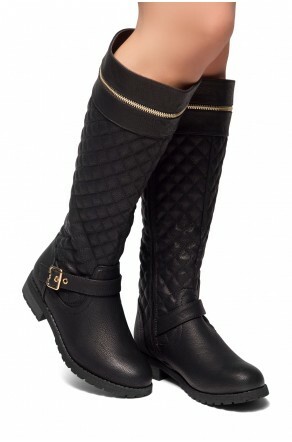 Available in black and cognac, sizes 5 to 11. Perfect pair! Love the color and they fit great. You can wear all day! 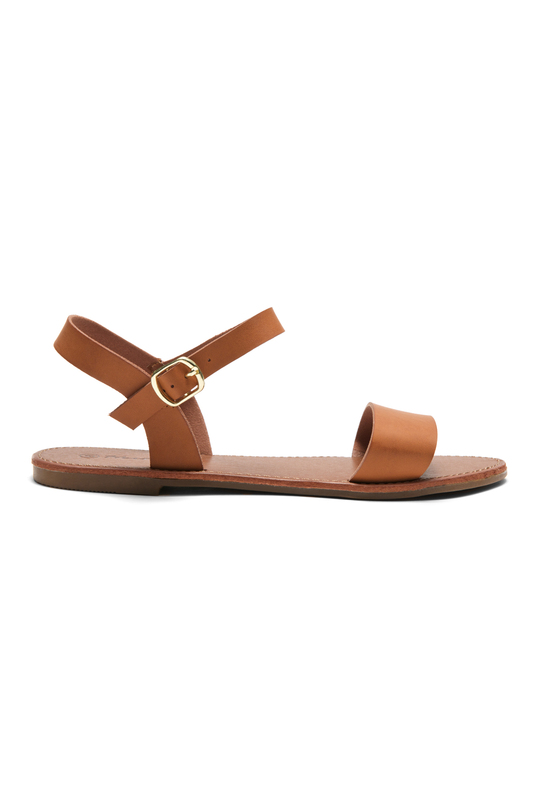 Cutest little flat sandals ever and so versatile! Very comfy to walk in. I would love to get more colors! 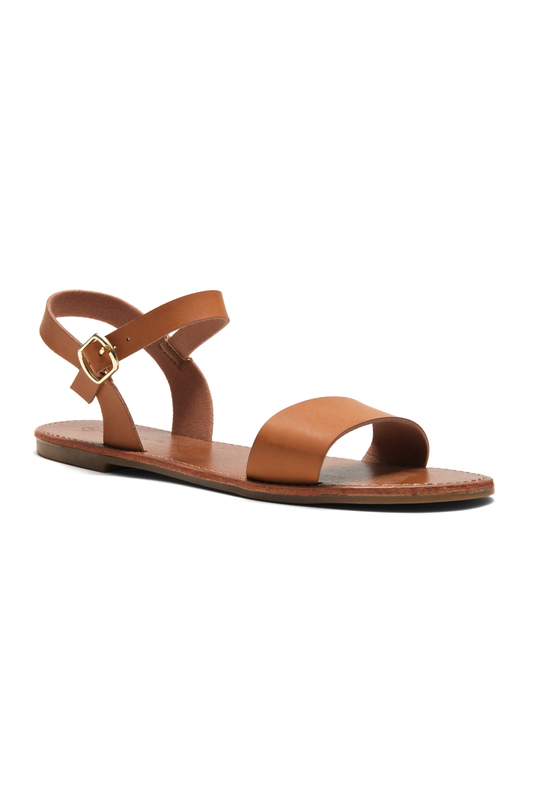 I really like this flat sandal. It is way more comfortable than I expected. Thumbs up for Shoeland! This is my second pair from Shoeland! It is so comfy and durable to wear. I received this about two days after the expected arrival date. Nice experiences as ever!